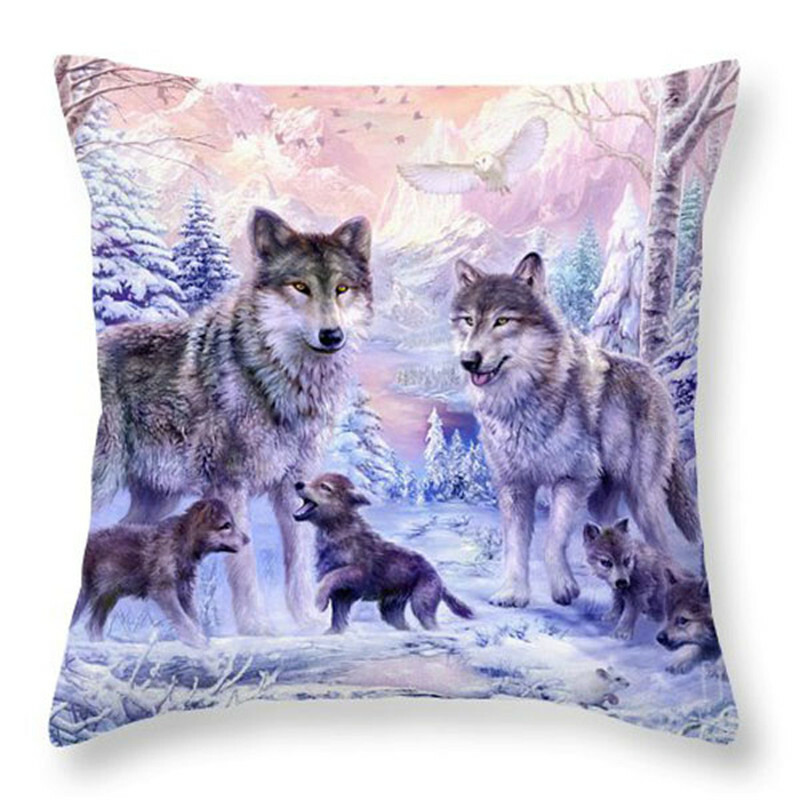 We love the graphic on this Wolf Family Pillow. It features a pair of adult Wolves with four energetic pups trouncing about. The pillow cover is made of silky smooth cotton linen and has a hidden zipper. It may be removed for hand washing and air drying. The pillow insert has a high thread count and made with 100% pure polyester fiber fill. It is non-allergenic and may be machine washed.